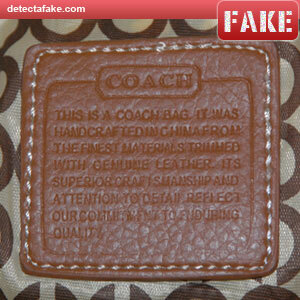 The market is increasingly being flooded by counterfeit Coach Handbags. 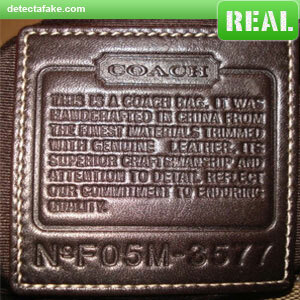 If you are going to be purchasing a Coach bag, it is important that you educate yourself so you don't fall victim to another knock off. 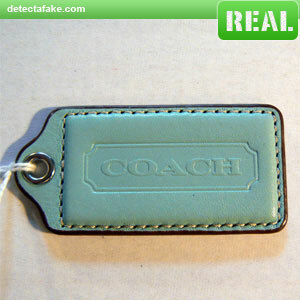 Make sure any Coach purses you buy pass all the tests below. View the seams in the middle. The "Cs" on the real one (left side), align through both sides of the seam. The "Cs" on fake one (right side), do not align. Another way you can tell is by the pattern itself. 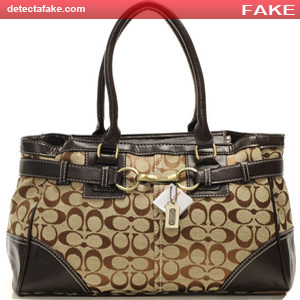 Make sure the pattern has the famous Coach signature "C" and not any other letter, such as an "O", a "G" or even a "Q". The pattern should always have two vertical and two horizontal "C" patterns and not just one. Look for horizontal and vertical accuracy. 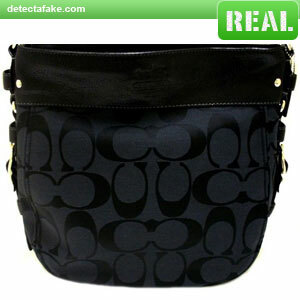 Authentic Coach purses are always perfect, so if you see any crooked letters, it' fake. Next, inspect the hang tag. The quality of each letter should br crisp and uniform. Make sure both "Cs" look exactly the same. Make sure the "A" is pointed at the top and not rounded. And last, make sure the "H" has all four legs in tact and not pointing up or down at the end. Notice on the fake hang tag above, the "A" is slightly rounded at the top, the "H" is missing the bottom right horizontal part of the leg and is actually higher than the other letters, the logo is slightly too far to the left and the overall quality is poor. Another thing to check, is the logo position. Make sure the logo is centered and not pushing twords the punch hole or any other direction. Check the zipper. 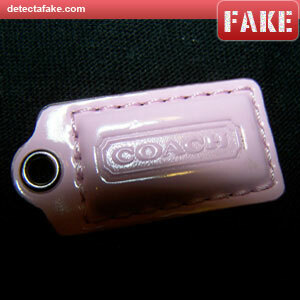 Authentic Coach handbags should have the letters "YKK" on the zipper pull. 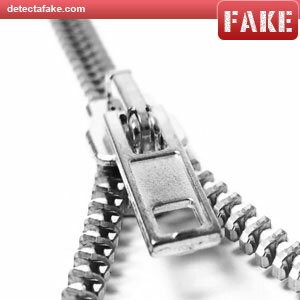 Some may be found on the interior zipper but if it does not have that somewhere on the zipper, it's most likely a fake. Next, you need to check the authenticity tag. Make sure all the letters are capitalized, in english and are spelled right. Make sure there is a serial number and that it starts with "No", the abbreviation for number. Also, make sure there are 4 numbers after the dash, not 3. Next, check the serial number on the internet and make sure the bags that are returned in the results match the bag you're checking. 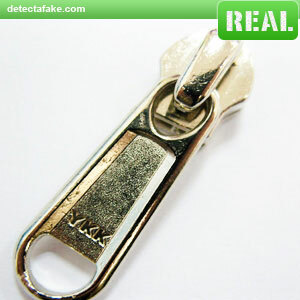 Another thing to look for is the overall quality of the authenticity tag. Make sure everything is centered and uniform. Also check the stitching. 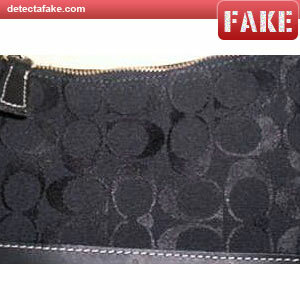 In the fake pic above, you can see that the stitching overlaps, that doesn't happen with authentic Coach.